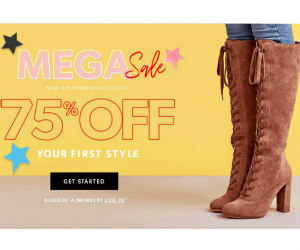 JustFab is the leading fashion-subscription ecommerce site and lifestyle fashion brand that offers members an engaging and personalized shopping experience. Millions of members worldwide are given the celebrity treatment every month. You can buy styles of your choice. The styles are selected just for you by their fashion experts. For a limited time, they are offering your first style at 75% off. Click to register for free exclusive access. Start by taking the quick quiz to receive personalized styles picks.